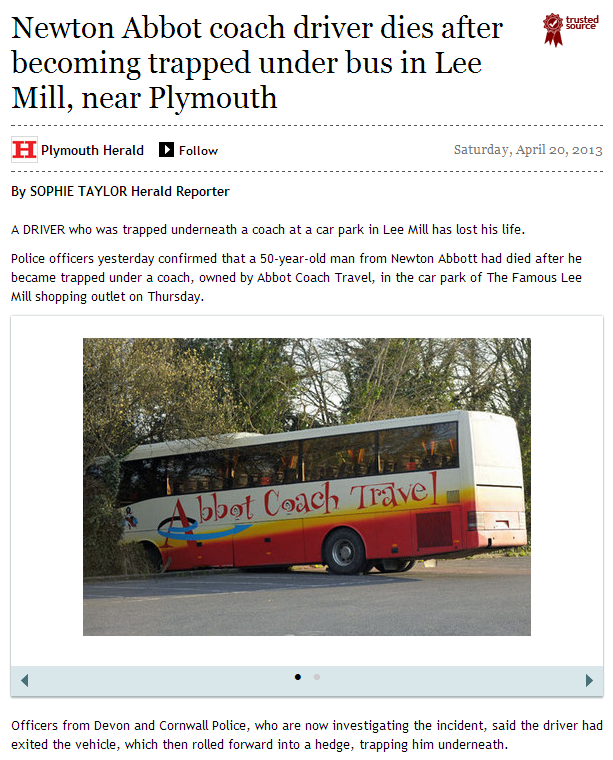 A coach driver has died after being run over by his own vehicle in a car park in Devon. The 50-year-old from Newton Abbot got off the coach at the Famous Lee Mill clothes store, near Plymouth, and it rolled forward. The driver was taken to Plymouth's Derriford Hospital after the accident at 17:00 BST on Thursday, but died from his injuries. The charity said it was believed the driver stopped the coach because of a suspected mechanical problem and the vehicle rolled forward as he got out to inspect it. No other vehicle was involved, police said. 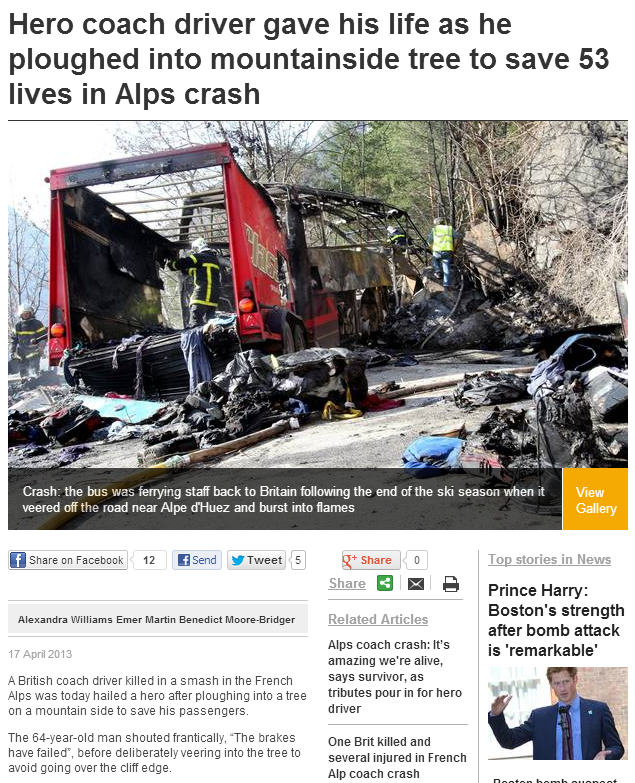 This kind of accident is very rare but that wont be any comfort to the drivers family and friends. Our heart goes out to them at this difficult time. All of this followed the equally tragic accident where another coach driver died, this time clearly saving his passengers lives as a result of his actions..
As with most sectors of industry, accidents can and will happen. Coach travel happens to have an excellent safety record so to have two stories like this in the same week is most unusual. Its clear that the second accident reported above could very nearly have been even more of a tragedy as many lives would have been lost were it not for the actions of the driver. The surviving passengers will remember that journey for the rest of their lives. The passengers of the Lee Mill coach were not in any danger themselves but they will also remember their journey as witnesses to this horrible accident. The driver who died at Lee Mill was a friend of mine, he was a jovial, caring guy and has left behind many shocked and saddened friends.